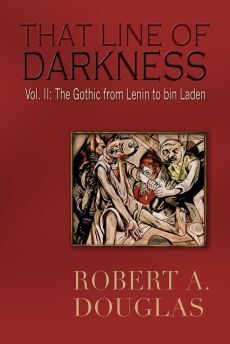 The brief incursion by the Russians provided stark images that “gave more concrete form to fears of a Russian steamroller…conjuring nightmare scenes of waves of bloodthirsty Cossacks and giant peasant soldiers bearing down on Berlin.” The propaganda notwithstanding, Germans did remember a particularly brutal Russian occupation of East Prussia, when “the Russian army resembled migrating rats which, in times of great destruction, forsake their hiding places in the Siberian tundra in order to eat bare the settled lands. Ever fresh hordes come forth in a brown milling mass from the seething steppe.” Despite the hysterical tales of refugees flooding into Berlin that told “of heads being cut off, children being burned, women raped”—stories that echoed their Belgian counterparts who inundated London—the Russians behaved better in East Prussia than the Germans when the latter retreated. The Germans themselves in 1915 estimated that only one hundred of their civilians had been executed. But the Russians behaved toward the non-Russian minorities in a barbarous fashion as they evacuated hundreds of thousands of Poles, Lithuanians, Latvians and Jews that lived on the outer edges of the Russian Empire to the interior. But there were other factors that contributed to the German inability to deliver a knockout victory. The small but professional British Expeditionary Force, (BEF) assessed as the “most efficient and dangerous fighting force of its size in the world at that moment” and responsible for preventing Russia and France from being defeated in a few months inflicted murderous casualties against the Germans at the town of Mons in Belgium despite facing a numerically superior force. Without informing their ally, the French withdrawal forced the British, who were now overwhelmingly outnumbered by the Germans, into an exhausting fourteen-day, 200-mile retreat in the heat of August where they left behind 20,000 dead, injured or captured. Moreover, the German General Staff never did the spadework on the logistics of transporting and feeding packhorses 14.4 miles every day for three weeks that carried the heavy weapons, and thousands of horses died of starvation and exhaustion. As they marched through France, the horses could not keep up with the infantry; therefore, the awesome firepower deployed in Belgium could not be replicated in France. Moltke’s commander on the right wing also made a tactical error when he impetuously veered his forces south-east bypassing Paris on its right thereby creating a dangerous gap between it and the Second Army and permitting BEF to move into the gap. The existence of a Schlieffen Plan has been called into question in a revisionist monograph by Terence Zuber, Inventing the Schlieffen Plan: German War Planning, 1871-1914 (New York: Oxford University Press, 2002). 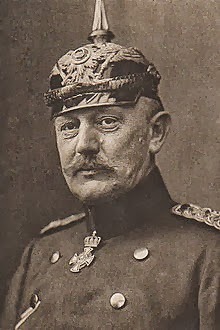 He argues that Schlieffen’s 1905 memorandum was an argument for more troops, not a real war plan, and that he favoured a defensive-offensive approach to counter a French attack into Lorraine, believing that superior use of Germany’s internal rail network could offset the danger, even if it meant weakening the right wing. Instead of there being a grand encirclement and a single crushing battle, there would be several conventional battles, perhaps the most important being in Lorraine. I attempt to synthesize the two schools of historiography by suggesting that Moltke’s 1914 strategy bore a strong resemblance to the 1905 memorandum, and that the latter was less a master plan than a guideline that Moltke adapted according to circumstances as he understood on the ground. During that mobile period of August 1914 when Allied troops were either engaged in defensive fighting or retreating, casualties were worse than at any stage of the war with the British, French and Belgians suffering 237,000. The French sustained ninety percent of them largely due to their brightly coloured uniforms and their almost suicidal offensive into the Alsace and Lorraine. At the same time, Germans casualties reached a quarter of a million. Yet a consolidated French army, plus all available reserves that were taxied to the front, supported by a revitalized BEF, stopped the German juggernaut at the Marne River in September when an inconclusive stalemate denied the Germans the successful shock assault that they had anticipated, forcing them into fighting the two-front war that they had dreaded. Later the German authorities, who never informed their citizens what really happened at the Marne—the withdrawal was disguised as “repositioning”—declared that their forces had never been defeated on the battlefield, but at this river, they did experience a major setback forcing them to retreat to high ground, dig trenches, site machine guns and set up barbed-wire entanglements. The Allies responded in kind as both sides burrowed themselves into the ground from the Channel to Switzerland, territory that covered a continuous almost five hundred miles that developed into a complex network of trenches that crisscrossed the landscape. As the belligerents attempted to outflank each other as they moved inexorably north, the British clashed with the Germans at the medieval fortress at Ypres, (the first of three devastatingly lethal encounters for both sides) which again deprived them of a decisive victory. For the next three and one half years, until the last German offensive in the spring of 1918, the armies of the British and the French confronted the Germans in a dance of death, a war of attrition in which movement was measured in yards not miles. 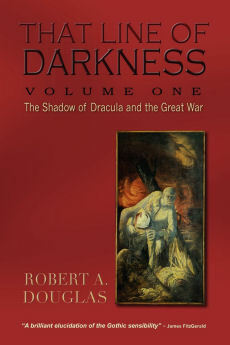 This type of warfare was not unique, as it had been featured in the American Civil War, the Boer War and the Russo-Japanese War, but it was novel in its scale and duration. 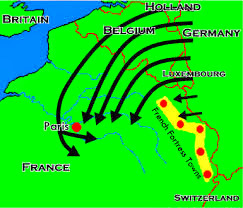 Once the Schlieffen Plan (or the Moltke Improvisation) foundered, the Germans entrenched themselves in the strip of northeastern France where much of their mining and heavy industry was located, leaving the French with nothing to negotiate and a powerful incentive for not allowing to flag their sense of purpose, that of driving the invaders from their country. Germany also occupied almost the entire country of Belgium that resulted in the acute stress if not the outright terrorization of eleven million civilians for over four years. The degree of effective Belgium military resistance and whether it upset the crucial timing of the Schlieffen Plan has not found consensus among historians. What is clear is that King Albert defied the German ultimatum by refusing it the right to breach Belgium sovereignty and neutrality with an open road through its country. When the vaunted right wing of the German army invaded, the fortress city of Liege held out for eleven days when the Germans calculated that it would fall within forty-eight hours. 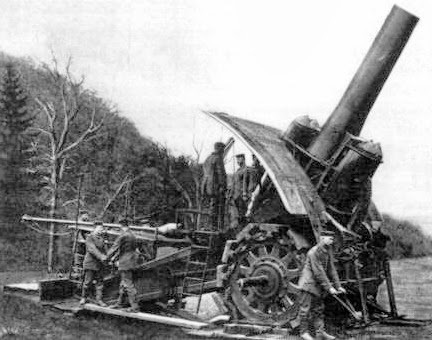 But the fortresses were no match for the overwhelming German firepower of large cannons, Big Berthas, which pulverized them. But Belgium military resistance there and at Antwerp did allow time for the British to land and provide support to the French and Belgian forces. Belgium’s actions enraged the army commanders and civilians became the scapegoats for their anger.